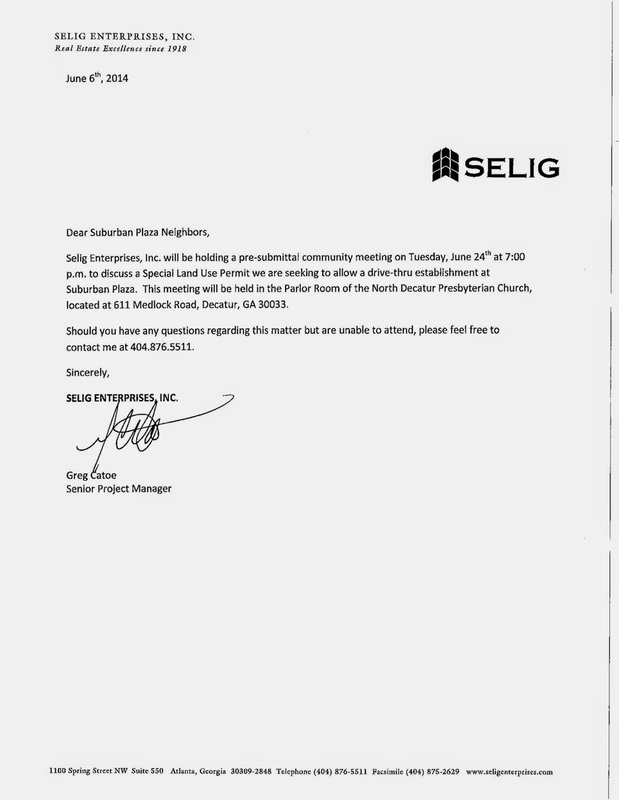 The meeting will take place on Tuesday, June 24, 7pm, at North Decatur Presbyterian Church (611 Medlock Road). Click to enlarge or download file here. For all previous posts on Suburban Plaza's redevelopment, click here. The redevelopment timeline is available here.